The measles outbreaks in the states of Washington and New York have generated a lot of headlines in recent weeks, but the good news is that measles remains relatively rare in the United States because most people have been vaccinated with the measles-mumps-rubella (MMR) vaccine, says Emily Hyle, MD, MSc. 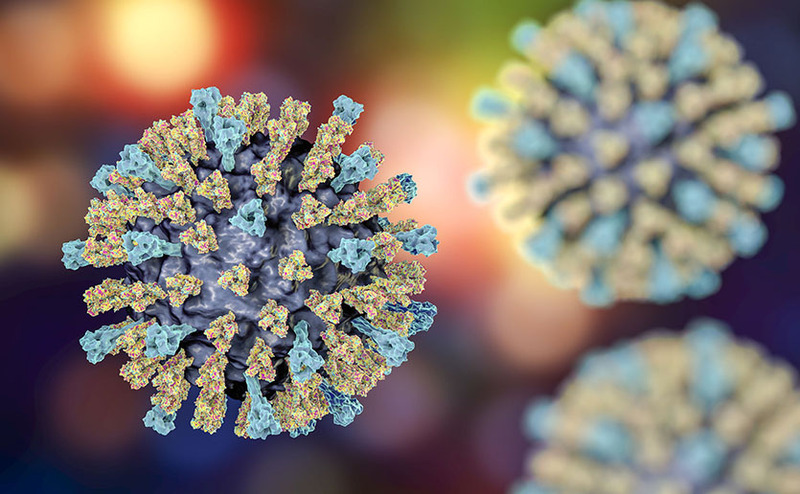 Dr. Hyle, an infectious disease clinician and researcher at Massachusetts General Hospital, explains that two MMR vaccinations provide excellent protection from measles. There have been a few small outbreaks of measles in Massachusetts over the past few years, but each has been quickly contained. “We can thank the high immunization coverage of our communities for that,” says Dr. Hyle. As the more extensive outbreaks in Washington and New York have shown, there are some parts of the United States where vaccine refusal or hesitancy to vaccinate have resulted in communities with lower MMR vaccine coverage. Because measles is so contagious, a single case can spread rapidly among those who haven’t been vaccinated, such as young infants and people with compromised immune systems who cannot be safely vaccinated with the live MMR vaccine. These vulnerable populations are typically protected by herd immunity — because most people are immune to the virus, it is less likely for measles to spread from person to person. So how does a measles outbreak start if most people are vaccinated against it? The most common source of infections is international travel. Individuals from the United States who are vulnerable to the disease are more likely to encounter it when they travel to parts of the globe where immunization rates are not as high — and can bring it back home with them. In recognition of this, the Centers for Disease Control and Prevention (CDC) recommends that adults who are unsure of their vaccination status or do not have other evidence of immunity (such as a blood test) should get MMR vaccination before traveling internationally. At highest risk for being under protected are adults born after 1956 (when the chances of naturally contracting measles started to decline) and who did not attend school after 1989, when the Advisory Committee on Immune Practices (ACIP) started recommending two rounds of MMR vaccinations. Dr. Hyle is part of a research team that took a closer look at how well the CDC’s recommendations were followed by providers who evaluated adult international travelers at pretravel consultations at one of the Global TravEpiNet (GTEN) sites. Among 40,000+ individuals born after 1956 who sought pretravel health consultations, 6,612 adults were eligible to receive an additional MMR vaccine. However, less than half of those individuals were vaccinated at the time of their visit. In 48 percent of those cases, the traveler refused vaccination. In 28 percent of consultations, providers did not suggest an MMR vaccination; and in 24 percent, they referred the traveler to another provider for vaccination. Travelers refusing the vaccine indicated a lack of concern about measles 74 percent of the time, concerns about vaccine safety 20 percent of the time, and concerns about vaccine cost 6 percent of the time. “Our results also suggest ways to improve MMR immunization among eligible travelers,” says Dr. Hyle. The team is now taking a similar look at how well the pretravel vaccination recommendations for children who travel internationally are being followed. Pediatric travelers comprise less than 10 percent of all U.S. international travelers, but they are responsible for almost half of all measles importation into the US, Dr. Hyle notes. Because children are vaccinated routinely for measles at 12 months and 4-6 years of age, the CDC recommends an accelerated vaccine timeline for children ages 4 and under who are traveling internationally to improve their protection from measles during travel. To learn more about how you can support the Mass General research, please contact us. This story was first posted on the Mass General Research Institute blog. The Massachusetts General Hospital Research Institute is the largest hospital-based research program in the United States, with a community of more than 8,500 people working across more than 30 institutes, centers and departments. Our researchers work side-by-side with physicians to pioneer the latest scientific advancements for curing disease and healing patients in Boston, across the United States and around the world. To learn more about the Research Institute, please visit our website.